Monster Energy NASCAR Cup Series driver Alex Bowman’s season in the No. 88 for Hendrick Motorsports may have just begun, but he is already making a bold statement. 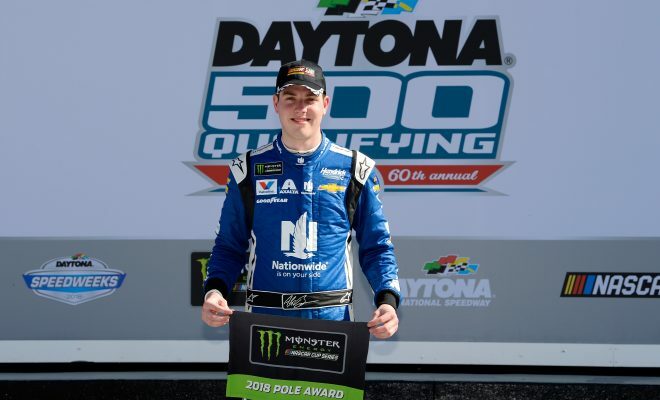 The 24-year old from Tucson, Arizona won the pole for next Sunday’s 60th Daytona 500. The pole is Bowman’s second-career pole in the Cup Series but his first at Daytona. 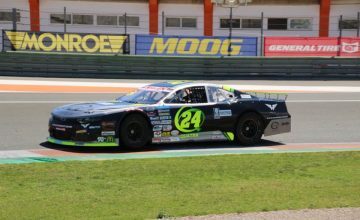 The young driver laid down a fast lap of 195.644 mph on the 2.5-mile Super Speedway. While 2018 is Bowman’s first full-time season in the No. 88 ZL1 Chevrolet Camaro, he is no stranger to the team. Bowman and Jeff Gordon both alternated between seat time during the 2016 season for Dale Earnhardt Jr, who missed most of the season with a concussion. The race at ISM Raceway (formerly Phoenix) turned out to be Bowman’s best race in the No. 88 that season. 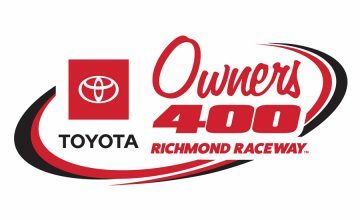 Bowman won his first career pole and went on to lead a race-high 197 laps before a late race incident while trying to make a pass on Matt Kenseth with 6 laps to go. While passing Kenseth, Bowman got tapped from behind by Kyle Busch, which in turned spun out Kenseth and Bowman was left with a 6th place finish instead of his first career win in NASCAR’s premiere series. It was officially announced last July that Bowman would take over the No. 88 for Earnhardt Jr who announced he would retire at the end of the 2017 season. Speaking of Dale Earnhardt Jr, he took to his Twitter account on Sunday to congratulate his former team and Bowman on their Daytona 500 pole win. Denny Hamlin will line up alongside Bowman after his lap of 195.092 mph. The rest of the field will be determined after Thursday’s Can-Am Dual’s which will begin at 7pm EST on FS1. The lineups for the duals are set based on Sunday’s qualifying speeds.